In my book, I also copied out song lyrics (painstakingly transcribed while pressing play-rewind repeatedly), poems I read at school, bits of creative writing from English classes. Some fragments are typed (how 2012!) and pasted in. There are clippings from magazines and newspapers—and, naturally, no shortage of Terrible, Horrible, No Good, Very Bad Teenage Angst Poetry. I did fancy myself a writer, after all. Though I did include some of my own writing in the book, these were pieces I either considered finished (that I’d revised and polished) or that were like the word version of those snapshots that seemed like a good idea at the time (you know the ones I mean), but now not so much. It wasn’t my journal—I had a separate notebook for that, and it wasn’t a writer’s notebook—I kept my writing projects, such as they were, in a binder. Though I didn’t know it at the time, what I had created was commonplace book. While the lyrics to eighties pop songs probably won’t be consulted for their wisdom in a hundred years, teenage me did have the basics of commonplacing down: find things that are meaningful to you and collect them, over time, in a book—eventually creating a sort of a textual collage. Commonplace books have elements in common with journals/diaries, writer’s notebooks, and scrapbooks, but are their own distinctive genre. 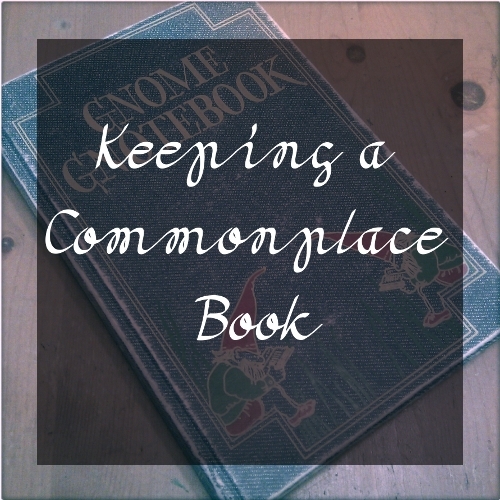 A commonplace book might include some of the commonplacer’s own thoughts and observations, but unlike a journal/diary, which typically consists of narrative entries written in chronological order, a commonplace book is non-narrative and non-chronological. Ideas are typically organized under headings rather than by date. 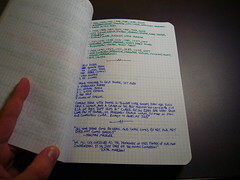 A commonplace book tends to be both less impulsive and less practical than a writer’s notebook. Entries into a commonplace book are usually made with some forethought—a particular pen, an attention to neatness—unlike a writer’s notebook in which fleeting thoughts are scribbled, often illegibly. A writer’s notebook is often kept with specific projects in mind, whereas commonplaced ideas are collected more for their intrinsic value—knowledge for knowledge’s sake—than any immediate practical purpose. Clippings and photographs might be pasted into a commonplace book, but unlike a scrapbook, which is outward-facing—the curated version of the scrapbooker’s life they want to present to others—a commonplace book is inward-facing. It is either completely private, or at least designed with one reader in mind: the author/curator him or herself. As such, a commonplace book tends to be more honest and personal than a scrapbook. Historically, a commonplace book was a handwritten notebook, a place to store quotations, ideas, reading notes, scraps of conversation, etc. for future reference. 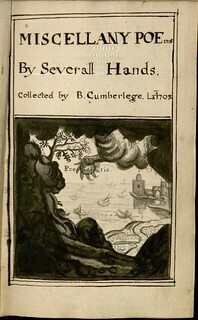 Many well-known writers kept commonplace books. Here’s a list of a few of them. Since most of these are out of print, the links are to WorldCat, which will show you what libraries near you have copies of the books. It might seem like commonplace books are a thing of the past; after all, who picks up a pen to write anymore? Why bother to transcribe text when it’s so easy to copy/paste? But a quick websearch shows they are alive and well. David Shields’s recent book, Reality Hunger: A Manifesto, takes the form a commonplace book: a series of quotes from various sources compiled together and interspersed with his own thoughts. The controversial twist was that he removed all attribution from the quotes so there was no way to tell who wrote what, unless you were previously familiar with a quote or style of writing—or you flipped to the appendix his publisher made him include (and that he urged readers to tear out). The American Scholar has a digital commonplace book with quotes collected around themes such as blame, grief, and gratitude. 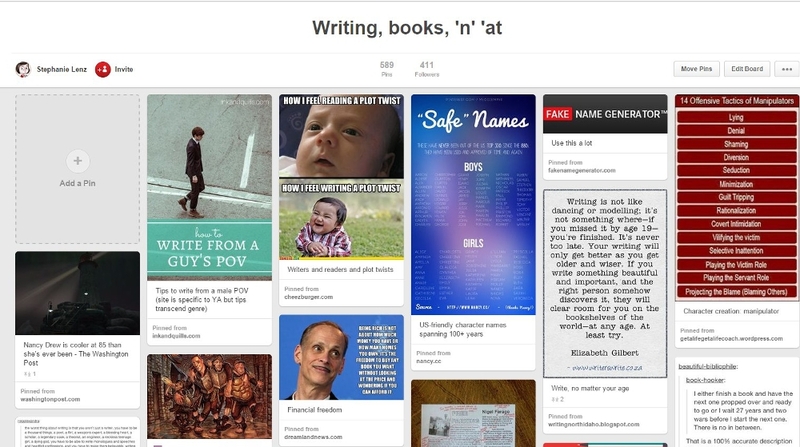 Why Keep a Paper Commonplace Book in the 21st Century? This advice was based on my own experience keeping such a notebook—in reality, a very traditional commonplace book in which I only copied poems and quotes from things I was reading. But at some point, I stopped adding to my book. For a while, I kept quotations in a Word document, and then on my Geocities website (RIP). These days, quotes I like end up on my blog, which is fine—it’s efficient and allows me share them with others—but I can’t help feel doesn’t have the same weight that the book did. Writing quotes out by hand, instead of copy/pasting, forces you to slow down and really pay attention to the words rather than skimming. [T]he key thing was to write the words in your own hand — by this means, by laboriously and carefully copying out the insights of people smarter than you, you could absorb and internalize their wisdom. Call it osmosis-by-handwriting. …When I post quotations and images to my tumblelog I suppose I’m succumbing to the temptation to cheat: I’m not writing anything out by hand; I’m not even typing the words … I’m just copying and pasting, which is nearly frictionless. I don’t have to think about whether I really want to record a passage or image: if it’s even vaguely or potentially interesting, in it goes. I might not even read it with care, much less give it the kind of attention that would be required if I were to write it out by hand. 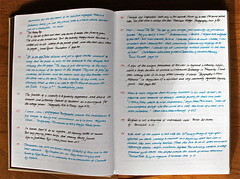 If you decide to start a traditional notebook as your commonplace book, consider how you write (e.g. do you have tiny, neat printing or sprawling, loopy cursive?). A small notebook can fit in a pocket, making it easy to take with you, but if you don’t have tiny handwriting, you might find it frustrating to use. Also think about your personal preferences and how you plan to use the book. If you hate it when your handwriting slopes up the page at angle, you’ll probably want to choose a lined notebook rather than an unlined one. If you’d like to illustrate your quotes, think about choosing a sketchbook rather than traditional notebook. The I’m-not-ready-for-commitment option: index cards in a box. Easy to shuffle around if you change your mind about what heading to put a quote under and if you make a mistake, no worries. Toss the card and try again. The environmentally-friendly DIY option: make your own commonplace book with scrap paper. Here’s a tutorial. The old standby option: Moleskine journals. The splurge option: invest in a leather journal. Here’s one example from Chapters (bookstores are a good place to look for journals/notebooks), and an indie version from Etsy. If you know a notebook is just not going to work for you—maybe you really hate your handwriting or it’s completely illegible—but you think there might be some merit to keeping a private commonplace book, here are some offline and/or private digital alternatives that are superior to a neverending Word document. Finally, here are some public options for those of you who crave the social in social media. I’ve included some very non-traditional alternatives here, to illustrate that you can create a commonplace book almost anywhere. A blog, such as WordPress or Tumblr, is the most versatile online option. Both give you the option of quoting, linking, sharing photos and video—as well as liking and reblogging others’ posts. Delicious. Use the “description” box to copy a quote from the page you’re bookmarking. Goodreads. Add quotes to “Quotes You Like” or like ones already added by other users. You can arrange your quotes in any order. Twitter. Make use of retweets and favorites, as well as tweeting your own thoughts. Pinterest. Here’s the board Baker started for Toasted Cheese, which includes illustrated quotations and writing humor. 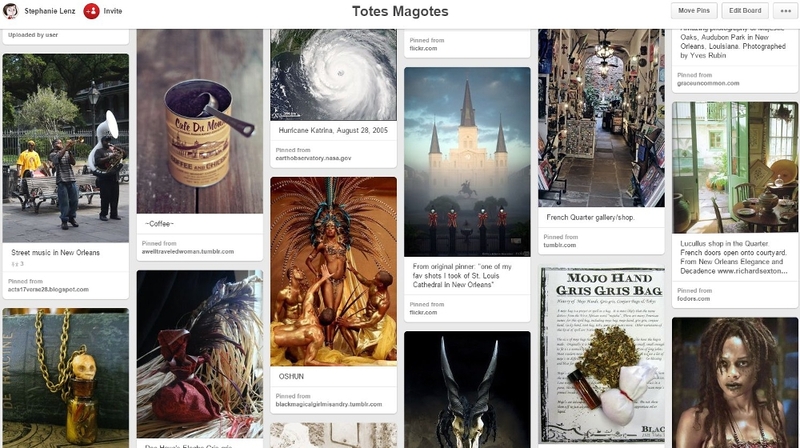 The limitation of Pinterest is that pins must include an image, but if you find inspiration in the visual as well as the textual, this might be an option for you. Flickr. Another visually-oriented option. Favorites can reveal themes over time, as I realized when I looked at my page. Once you’ve identified a theme, you can use a gallery to collect images based on it. In galleries, there’s a space for adding text to each photo you select. Here are galleries of old books, people sleeping in libraries, empty spaces (shows how text can be added to the left of the images), and illustrated quotes. Keep in mind that you don’t have to limit yourself to a single option. You can keep both a private book and a public blog or a text-focused commonplace and a more visual one. 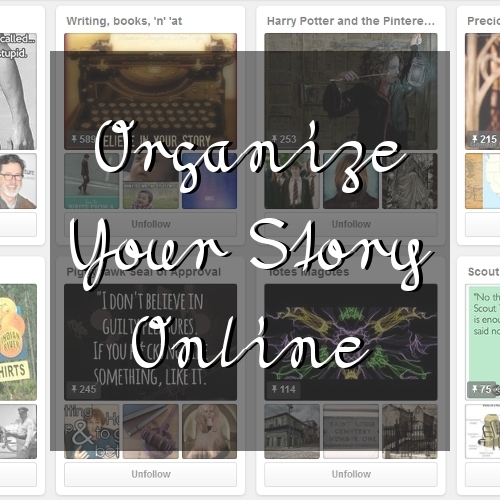 The beauty of the commonplace book is that it’s your book—you can make it whatever you like. I’ll begin with a confession: I have a stationery problem. It started small, ring binders mostly, but as the years went by I began to hit the hard stuff: leather covers, gilt edges and heavy stock. I had outdoor journals for writing in the rain, little pocket cheapies for a quick thrill, and others so pretentious they refused to go out of the house unless I wore my blazer with the leather elbow patches. All of them, however, shared the same difficulty—they arrived empty. That creamy blankness daunted me like a young boy facing a centerfold. It was beautiful and I knew I was expected to do something with it, but I wasn’t sure exactly what. So, the fear of creating something trite or useless kept me from writing anything. It took a Rorschach test to snap me out of it. I received an expensive journal as a gift and refilled my fountain pen to write something inspiring on the first page. I hovered too long and a drop of ink fell, creating a blot that soaked through to the second page. It was ruined. It was a catastrophe. It was a giraffe with a glandular problem. Turned sideways it was the profile of an angry woman. She set me free. Since the beautiful blank page was “ruined” I had permission to fill it without worrying about how it would look. I had finally gotten past the notion that I had to write something worth reading every time my pen touched paper. My notes would never see publication, at least not in a recognizable form. That is what the drafts are for, and the time at the computer. The purpose of my notebook became collection rather than creation. Do me a favor. Take out your notebook (I am assuming you have one, be it gilt-edged or not). Lay your pen across the top. Now put a screwdriver and a hammer next to them. They are all simply tools. Do you lament the screws unturned, the nails unpounded? Perhaps you shouldn’t sweat the words unwritten. They are everywhere. Say it with me: “They are everywhere. “Life offers you a multitude of truth at every turn, but (and here is the magical part) it is your job to capture it. Best of all, there are no rules on how you go about it! No grammar, no spell-check, no outline necessary and it need only make sense to you. Just grab them; the bits of conversation, snatches of reality, pieces of pain. Scribbling and doodling are encouraged. Write down story ideas before they evaporate, argue with yourself, list life goals, books to read, and what you need from the grocery store. Cut out a page with a penknife to leave a love note on your significant other’s windshield. Write imaginary letters to Attila the Hun and your favorite auntie. It is just a tool, and you can’t use it incorrectly unless you try to be someone you are not. A straight read of your notebook may well get the relatives together for an intervention, but you can’t worry about that because it is not for them. It is yours, and you are busy pouring ink onto your life to preserve it until you need it. Let me elaborate on that last thought. Imagine a canvas. It’s modern. If you mailed it, it would be post-modern. It’s white, objectively speaking, with no frame. Closer inspection reveals three tiny red dots lounging in the upper left corner. Can you see it? Now, answer a question for me: Is it still a white painting? Why? Do the red dots make it red, or do they simply point out the whiteness? This is the part in the show where you ask yourself: What does this have to do with writing? The point, if there is one, (and I think by this point we all hope there is one) is that miniscule dabs of color can create art. Just as a few red blotches can make you realize the value of white, a few drops of reality can ground your fiction in a manner impossible by imagination alone. “Laughter is the psychical discharge of energy.” —Freud. Ducklings following their mother across the busy road during commute. Confused, scared (anthropomorphism), trapped on the concrete median. Wanted to stop. Hesitated and went on. I can’t stop thinking about them. Any of these could be the basis for a story. It is obvious, for example, that my home town has some opinionated gnomes with spray paint. Even if the bits do not stand alone, they are grist for the mill of other works. It is not the normality of life that is memorable, it is the strangeness. Which character is more vivid: the drunk, bald man in a white sweater, or the drunk, bald man who eats the dip at a party by scooping it up with his hand? [That little tic, by the way, is courtesy of a fellow at college who was possibly raised by raccoons.] The important thing is that they moved me, and when I finally sit down to write I want to use them to move my reader. They are the notes that ring true and convince the reader that they are indeed listening to a fellow traveler on this wobbly voyage. So, here is the homework assignment: take a notebook with you everywhere. Carry two writing utensils. Live with your senses wide open, and when something makes you laugh, cry, vomit, love, hate, bridle, sweat, whatever… write it down. Do it for a week. Then sit at your computer and leaf through the ramblings. Ignore the chocolate smears and drops of… is that blood? Where have you been? Never mind, never mind… just give it a shot. Remember, you can’t be wrong. Now get out there and do your job—collect some truth. I can’t promise this will work for you as well as it does for me. There are no guarantees. However, even if it doesn’t work, look on the bright side: you have a neat new notebook and you have finally stopped eating dip with your hands. I write a lot of unusual stories. For example, “Freedom Dance” is about a married woman desperate to leave a dance bar. Awash in a sea of pick-up lines and staggering drunks, she does everything possible to escape her situation while the crowd, and her friend, does everything to keep her there. The colors and sounds are alive and vivid in the story, the terror real and tangible. Well, they should be. I was this horrified woman. A single friend of mine hates to drink alone and wanted to try a “new” place. I’m a fairly game girl and went along for the ride. I ended up in a personal hell, and a writer’s paradise. I sat in a corner with a drink (okay, several) and wrote down every terrified thought, every sarcastic comment, and all the detail I could. Including how everyone stared at me as I wrote in my notebook. Most stories come from real life inspirations like this. A random comment can become the plot for a murder mystery. An unusual landscape can be used as the setting for a fantasy short. An old man walking his dog might become a background character in a piece of literary fiction. But where and how can YOU find everyday inspirations? Write everything down. Have some kind of paper, and something to write with, with you at all times. Consider a pocket diary, a 5×7 notebook, a small amount of loose paper, a bunch of 3×5 note cards, whatever works best for you. Keep them all in the same pocket of your purse or handbag, so you can find them when you need an idea. I have a blank diary, just big enough for my purse. It has a very permanent and literary feel to it, and it’s a lot harder to lose than a 3×5 card. Besides, it was a lot of fun to pick out one that reflects my personality. I use my pen as a bookmark so I know where the blank pages are, and where the pen is. When something strikes me, I can instantly jot it down. Have an adventure. This doesn’t mean you should take the first flight to Brazil. Well, if you can fly off to a foreign country, go right ahead. The important thing is to get up from your computer or desk, and get out into the sunshine and the rain and the snow. Experience weather, traffic, crowds, and lines. Take yourself or a friend out to coffee. Go to the library or your favorite bookstore and sit for a while. Visit friends or relatives at work or at home. Take a sandwich to the park or have a picnic at the zoo. Don’t use your car. If you need to go across town, try using public transportation. Walk up to the store instead of drive. Ride your bike over to a friend’s house or up to the park. Ask questions. Look at everything with wonder and curiosity. Ask yourself where people are going, what they will do when they get there, what is inside their bags and boxes, where they started out, and just what is their biggest problem? Try asking the same two questions for every person in the room, on the bus, in the car next to you, or wherever you happen to be. “Why is this guy alone on the bus with two cans of Dr. Pepper and a coconut?” my notebook asks me. I can see him now, awkwardly juggling those two cans and shifting the single coconut around. From this simple question, I might get a great story, or a novel. I know I have a great joke already, or an anecdote I can somehow put into an article I’m writing. Listen harder. Really hear what everyone around you is saying. Your friend makes a sarcastic comment. You overhear a pithy saying. A guy at the bar tells you a ribald joke. Put them all in your notebook. You never know when a single statement will spark off a story, but it sure can. We found a broken and useless gun in a box in our attic when we moved into this house. The police were called and it was taken away for ballistic testing, “Just in case it was used in any unsolved murders.” As he stowed the item in his trunk, the policeman said, “How can anyone lose track of a gun? I know exactly where mine are at all times. It just doesn’t make sense.” He was appalled, but I was inspired. What if someone had MEANT to leave it behind? From his off-hand remark, I had a great story. Look deeper. The best writing has realistic details and descriptions. Capture a beautiful sunset on the beach or the dirt and grime under a bridge. Describe your house, yard, or neighborhood. Write down what color shoes the woman on the bus wore, or how much makeup she wore. Take a few trips back and forth into time while you are at it. What did that look like when it was new? How will it look to your children’s children? “Freedom Dance” is about how a married woman perceived the bar. The neon glare and flashing lights, the too-short skirts and too-tight pants, and the wiggles and swaggers. If I hadn’t written down gems like, “The black pants, the white shirt, the black vest, the black cowboy hat, the red steel heart reflecting gently on his breast. The sheriff of love.” I couldn’t have captured the flavors of that bar and shared it with my readers. Fear nothing. Don’t be afraid to write down anything you want, anytime you want. If it was funny, if it was cute, if it got your attention, write it down. Worry about how you “look” later. Your friends will understand if you jump up and take down what they said. Heck, they will usually repeat it if you ask. They like to be noticed and remembered, even if it’s only in your notebook. People will stare and wonder what you are doing, but they can’t read over your shoulder unless you invite them to. Or unless your best friend shows the notebook to the guys you were just describing. Remind yourself that the fellow with the coconut doesn’t know who you are, and won’t be calling you later. Don’t worry about libel because by the time you are published, they won’t remember saying or doing anything of the sort. Don’t censor yourself because of a “what if”. It probably won’t happen. Be inspired. Story ideas are all around, if you know where to look for them. So get up and get out. Bring a pineapple and treat yourself to a pina colada. Someone else will have the coconut.